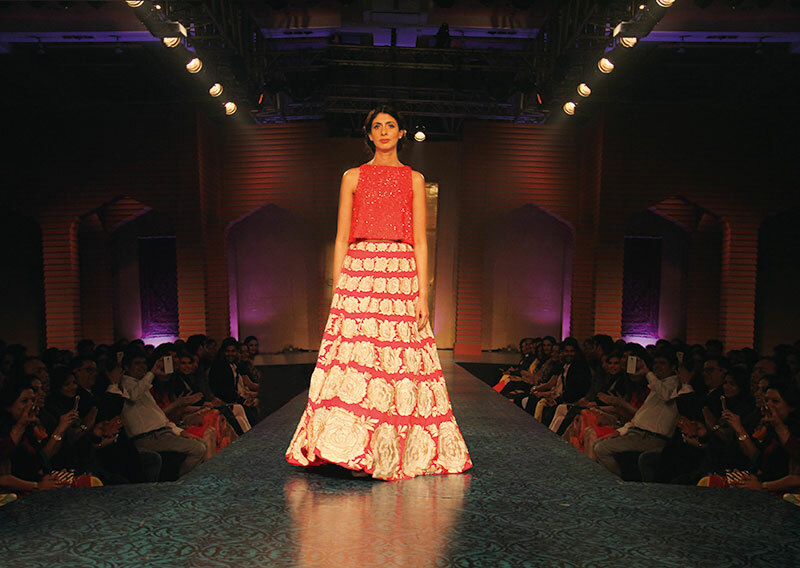 Scarlet embellished blouse and red lehnga with floral embroidery, both by Manish Malhotra. Fashion diva; daughter of Bollywood legend Amitabh Bachchan; known for her classic and extravagant statements; New Delhi. Comfort — everything has to feel comfortable. History, travelling, and listening to and appreciating all kinds of music. Watching her mother get dressed in beautiful kanjivaram saris. She would often select the bags that went with them. She can never walk in heels. Massimo Giorgetti, for his use of neoprene; everything Balenciaga; Prabal Gurung; Abu Jani and Sandeep Khosla are her all-time favourites. Sunblock, lip balm, mirror, wipes, Smashbox’s O-Glow cheek colour and an under-eye cream. A white T-shirt with her favourite pair of jeans.